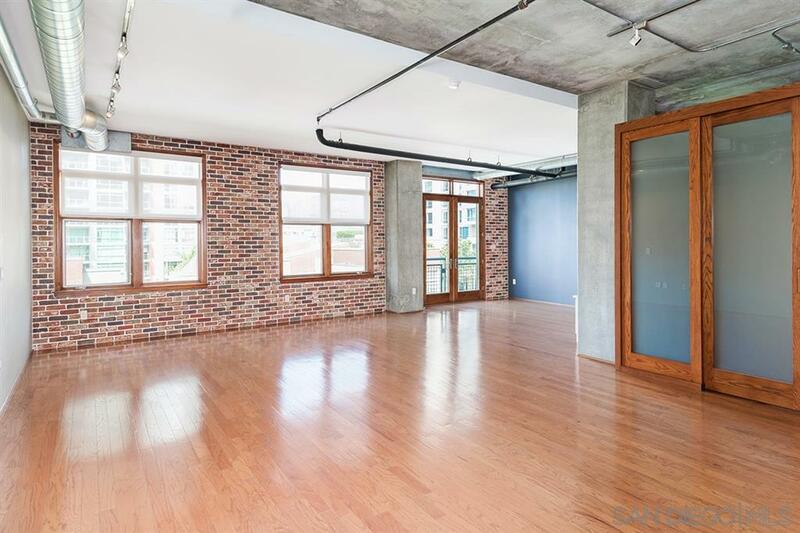 High-ceilings and an expansive open living space welcome you to this beautifully updated residence in the desirable Parkloft community. 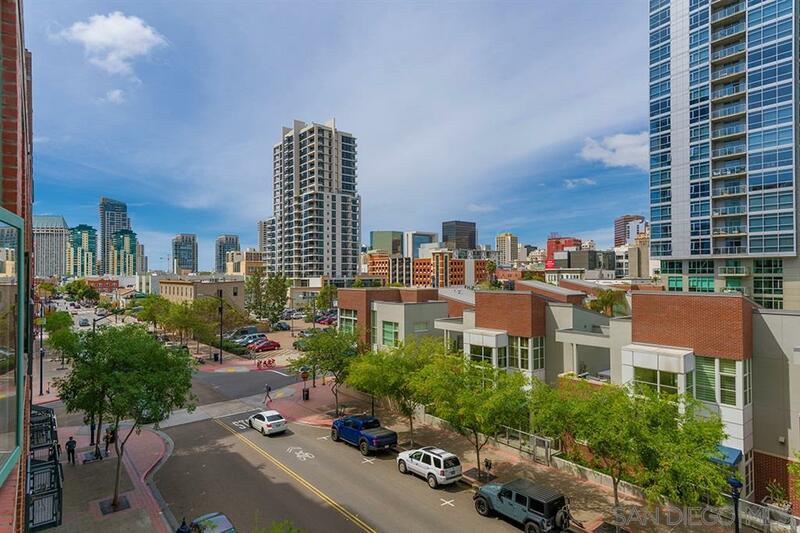 Perched on the 4th floor with North-facing city views, you will also love the rich hardwood floors, exposed brick and concrete accents, brilliant custom lighting, and a wonderful kitchen with a Sub-Zero refrigerator, granite counters, high-end cabinetry, and a gas range. The master is enclosed with frosted glass doors and features a breezy ceiling fan and en-suite bath. Complete with built-in storage and a Murphy bed, this area adjacent to the Juliette balcony may also be enclosed to create a second bedroom. Revel in the vibrant East Village lifestyle at one of the only true loft communities! 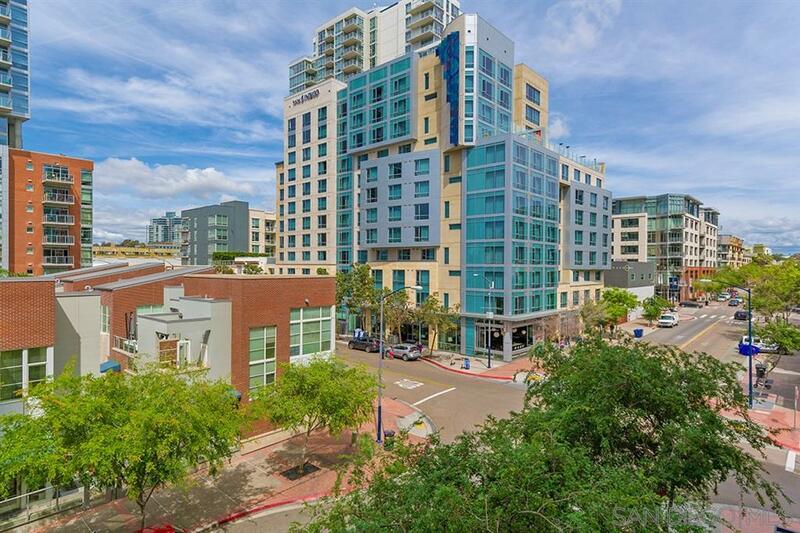 Parkloft offers a fabulous lifestyle for the active urban resident, just steps away from Petco Park and the Gaslamp and Marina Districts. Residents enjoy concierge services, a zen-like lobby area, fitness center, and lovely center courtyard. 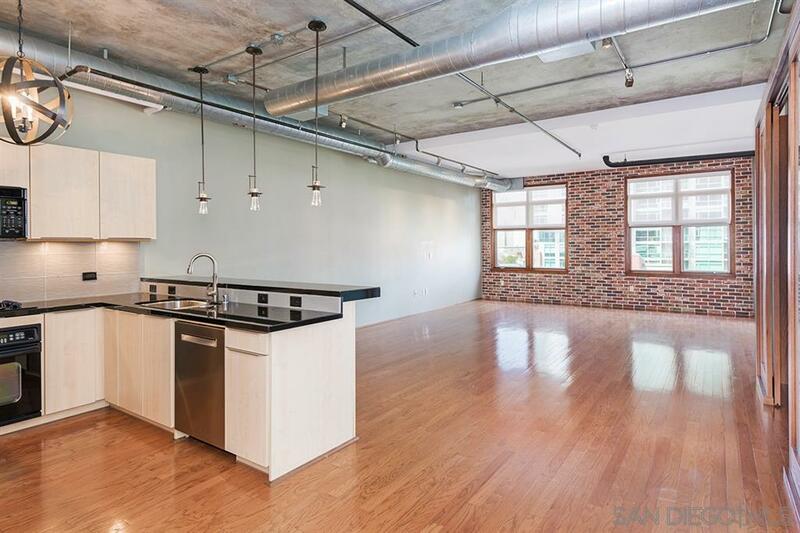 Come live the good life at Parkloft! VA approved. Unit is a 'loft', walls have been constructed to create a bedroom space, optional bedroom is where the Murphy bed is installed.